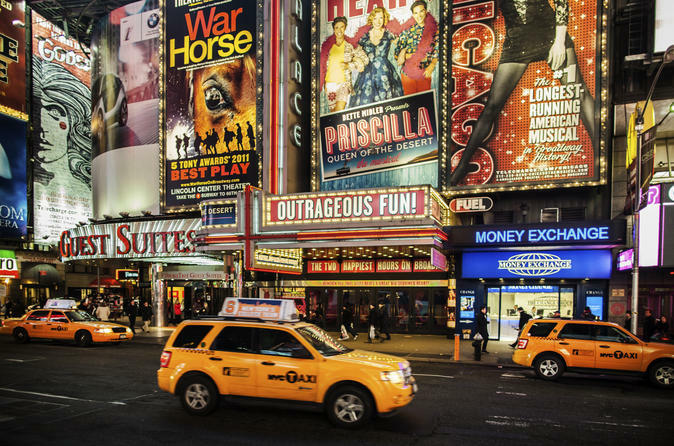 Enjoy the magic of the Big Apple and be back on time for your evening plans with the 6-hour Best of Manhattan tour! See top landmarks as you make your way through Manhattan by double decker bus. You’ll get off at Rockefeller Center to see the famous “30 Rock” building and notable sculptures. Next, walk around the One World Trade Center site to see the 9/11 Memorial. Then enjoy lunch in Little Italy and visit Grant’s Tomb in the picturesque Riverside Park. A sightseeing ferry cruise to catch a view of the Statue of Liberty tops off this fully-guided adventure! Sit back and relax as your professional guide introduces you to Manhattan’s landmarks and eclectic neighborhoods, from Times Square to Central Park and everything in between. Some of the sights you’ll see along the way include Central Park, Little Italy, Fifth Avenue, Empire State Building, Harlem, Brooklyn Bridge and more! Hop off to take guided walks around Wall Street, the South Street Seaport, Grant's Tomb, Rockefeller Center, Little Italy and One World Trade Center, giving you a more intimate, in-depth sightseeing experience. Take a scenic 1-hour sightseeing cruise on New York Harbor, offering an unparalleled perspective of the stunning New York City skyline and the Statue of Liberty. Special Offer - Book by August 31 to save 33% off our previously offered price! - Book Now!